Have you ever wondered how it feels to be the world's most expensive footballer? Or at least how it feels to play in his team? With the World Cup just months away, Red Bull Energy Drink unveiled a limited edition can featuring global soccer icon Neymar da Silva Santos Junior – commonly known as Neymar Jr. - to not only celebrate him, but to also kick off a global contest to win a chance to play on or support Neymar Jr.’s team this summer in Brazil. The special Red Bull Neymar Jr. can, available around the world during the month of February, serves as an international search for dedicated fans who want to be a part of Neymar Jr.’s Five World Finals Team in Brazil. Fans are encouraged to submit creative photos, videos or boomerangs on Instagram using the hashtags #NeymarJrsTeam and #Contest, showcasing why they should be chosen. The contest runs through June 24, 2018 with two winners chosen each month for a total of 12 finalists who will be entered into the grand-prize selection pool. Neymar Jr. and his team will then select two of the 12 finalists for spots on his team at the World Finals. Both winners will be a part of the experience of a lifetime in Brazil, with one winner playing alongside Neymar Jr. while the other winner will be an integral member of the Neymar Jr. team support crew. The World Finals showcases the Brazilian star’s signature five-a-side tournament bringing players from all corners of the world together to celebrate their shared passion. It is a fast, technical and fun competition. In 2017, over 100,000 players from 53 countries battled it out to be crowned World Champions, with Romania coming out victorious. In 2018, more than 60 countries from 6 continents will be hosting tournament qualifiers, where players will be competing with the same dream of making it through the qualifiers, to their national final to book a ticket to the World Final, which will be celebrated for the third time at Instituto Projeto Neymar Jr in Praia Grande, Brazil. Visit here to find U.S. qualifying tournament dates and locations. In the U.S., the first qualifier kicks off in Atlanta on March 24 with the U.S. finals taking place in Miami. Additionally, the U.S. is hosting 50+ pre-qualifiers where teams can get accustomed to the innovative format and define strategies for success. Host cities include Atlanta, Dallas, Denver, Fresno, Houston, Los Angeles, Kansas City, Miami, Minneapolis, Orlando, Phoenix, San Antonio, San Diego and Tampa. 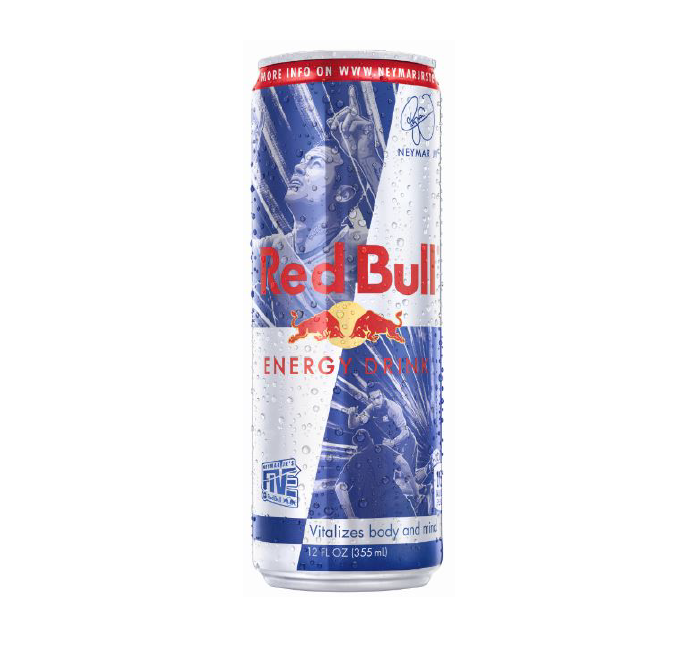 The limited edition Neymar Jr. can will be available nationwide in the U.S. throughout the month of February, sold as a single 12 fl oz Red Bull Energy can line priced with the Red Bull line of products. Red Bull is available in 170 countries worldwide and 6 billion cans were consumed last year, two billion of those in the U.S. alone. For more information, visit here.